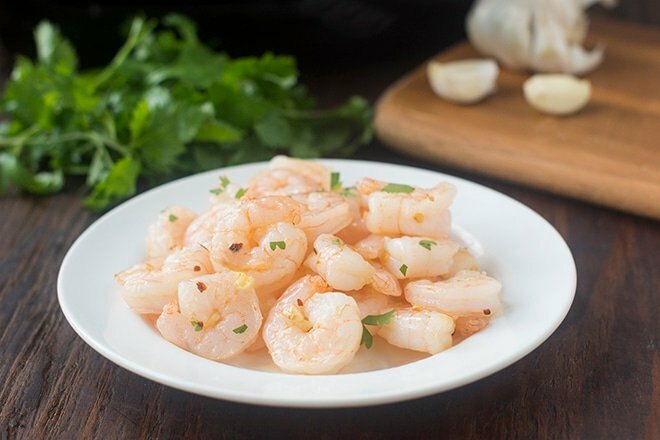 Here’s everything you need to know to make scampi that’s garlicky, buttery, and amazing! 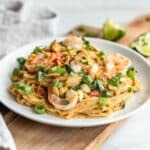 This is the best Shrimp Scampi recipe ever. Ask someone what shrimp scampi is and you’re likely to get a lot of different answers. Shrimp, sure. Garlic, definitely. But some will say it has tomatoes. Some say lemon or wine. And others might tell you the shrimp is breaded. Adding even more to the confusion, the dish you might think of as classic Italian isn’t Italian at all. And scampi isn’t a preparation—it’s an ingredient! 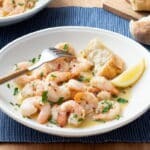 According to the New York Times, scampi are small, lobster-like crustaceans familiar to Italian immigrants but not readily available in the States. 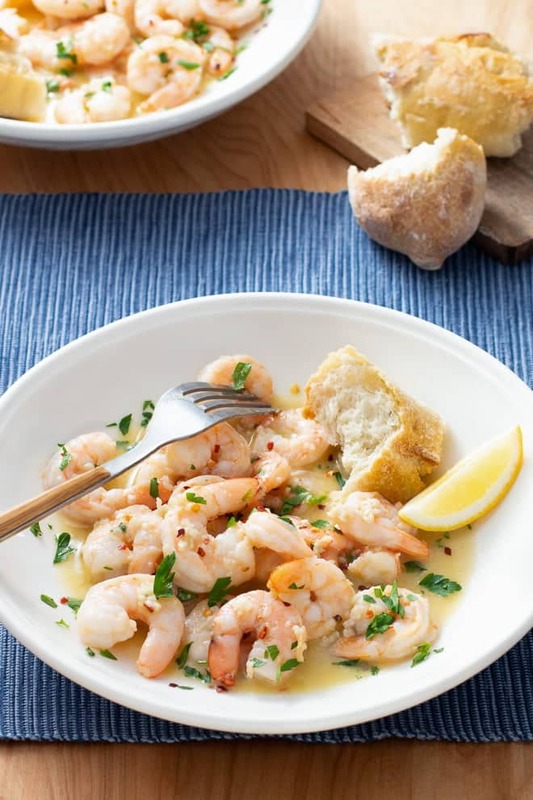 So Italian-American cooks adapted their scampi recipes to use shrimp and called the result “shrimp scampi.” In other words, it’s simply a name for any Italian-American shrimp dish. Fast forward to today, though, and scampi is generally considered to be shrimp with garlic, butter, and/or olive oil. Variations include adding wine or lemon juice. Or parsley or red pepper flakes. And some versions are served over pasta. 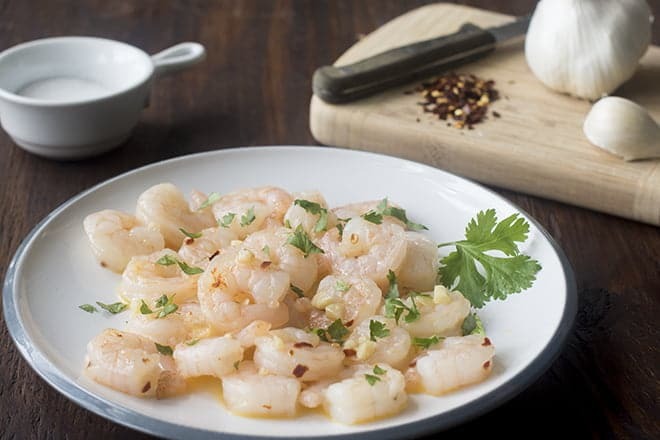 My scampi recipe is what I think of as the best of the above, with plenty of garlic, both butter and olive oil, plus wine, parsley, and red pepper flakes. And then I add lemon wedges on the side so everybody at the table can make the sauce as bright as they like. 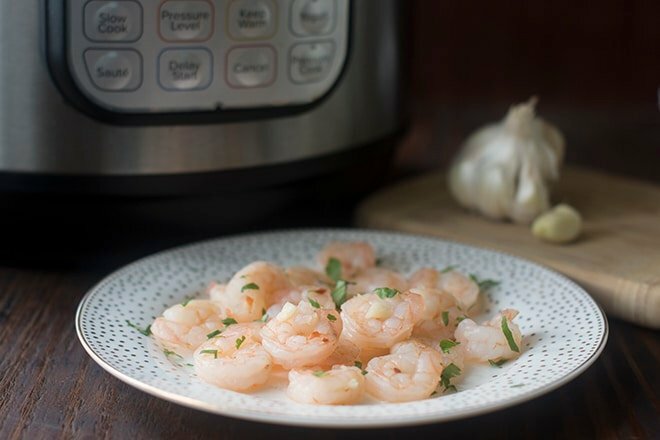 Because they’re so central to the recipe, start off with good shrimp. I use frozen because shrimp are frozen right on the boat when they’re caught—you can’t get much fresher than that. 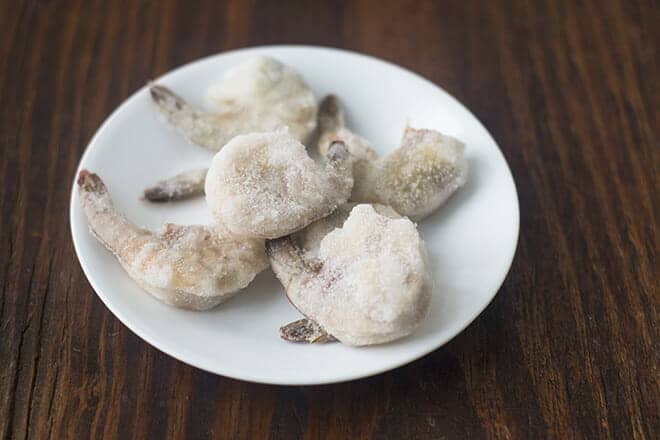 For scampi, defrost them shortly before you plan to use them (here’s info on how to thaw shrimp quickly), and then gently pat them dry so they won’t be watery when they go into the skillet. I also prefer shrimp without the tails for this. Cooking shrimp with their tails can add flavor, and they look pretty on the plate. 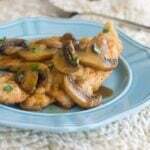 But for a saucy dish like this, it’s just messy to have to pick up the shrimp and separate the meat from the tail. You could totally serve this over pasta. I like it with linguine, fettuccine, and even orzo. 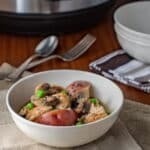 My favorite way to eat it, though, is as-is, with some good bread on the side for sopping up all that garlicky, buttery sauce. Dinner doesn’t get much better. Heat the oil and 3 tablespoons of the butter in a large skillet over medium-high heat. When the butter has melted, add the garlic and cook, stirring, for 30 seconds. Add the shrimp and cook, stirring occasionally, until just cooked through, about 3 minutes. Add the wine, salt, and red pepper flakes and stir until the wine comes to a boil. Remove the skillet from heat and stir in the remaining 3 tablespoons of butter. Stir in the parsley and additional salt to taste. Serve with the lemon wedges, if using, on the side.